Wellingborough Council has set up a new committee to help with the transition if the county’s unitary proposals go ahead. Chief executives and leaders of the eight councils in Northamptonshire are meeting weekly to prepare for the creation of two new authorities in the county so they can hit the ground running if the Secretary of State decides to go ahead with the restructure. The immediate focus is the structural change orders, which are largely technical documents but will need to include details like the number of councillors proposed for each new authority. Decisions on the design and structure of services will be made by the shadow authorities, which are likely to be established in Spring 2019. In the meantime, all decision making will continue to go through each council’s democratic system to ensure options are openly debated and robust decisions reached. Members of Wellingborough Council met on October 16 and resolved to establish a Local Government Reform Sub-committee. 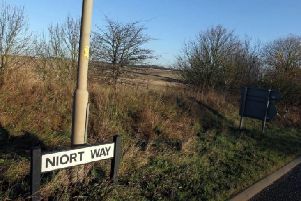 It will be responsible for the formulation and monitoring of the implementation of the council’s plans for the transformation and transition into a new North Northamptonshire unitary council should the Secretary of State decide to go ahead with the restructure. The Local Government Reform Sub-committee will ensure strong working relationships with all councils in the county and key partners, in preparation for the potential establishment of two new unitary councils. Wellingborough Council leader Martin Griffiths said: “We are committed to ensuring that residents of the borough are represented throughout the process of establishing two new unitary councils. To help inform future decisions, preparatory work will include talking to exemplary unitary councils to learn best practice and to ensure that this transition is as smooth as possible. Key stakeholders and partners will also be involved in that process in the coming months to make sure challenges are understood and solutions are built into the design of the new services.